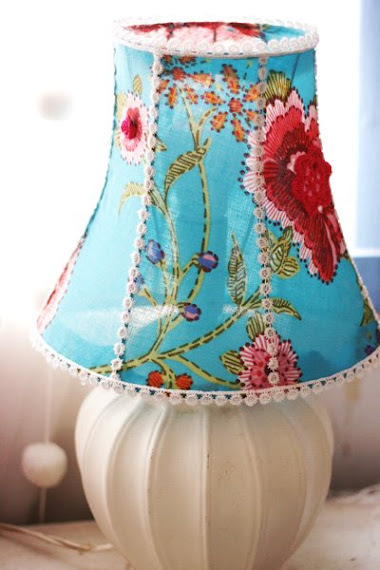 welcome to day 5 of our upcycling week! today we're taking a look at other stuff you can make. 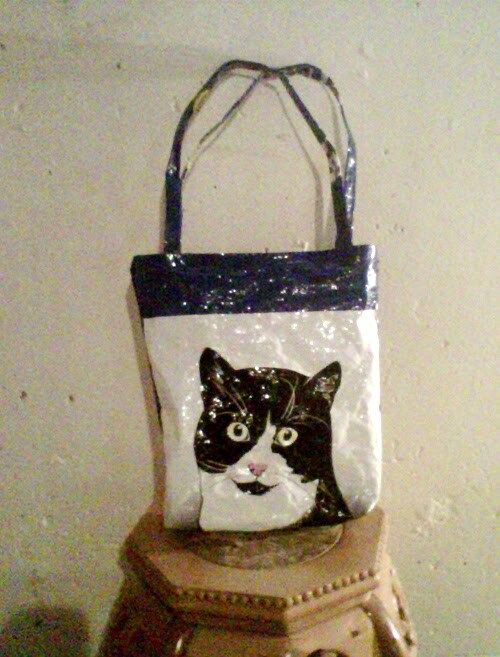 it might still be about clothes, but you can recycle them into so many other things as well! you can find more photos in this post and the pdf tutorial is here. she used an old pillowcase she was given with a pile of fabric and random textiles from a friend. then she added lace trim and stitched on a satin rose and a crochet flower, both in hot pink. 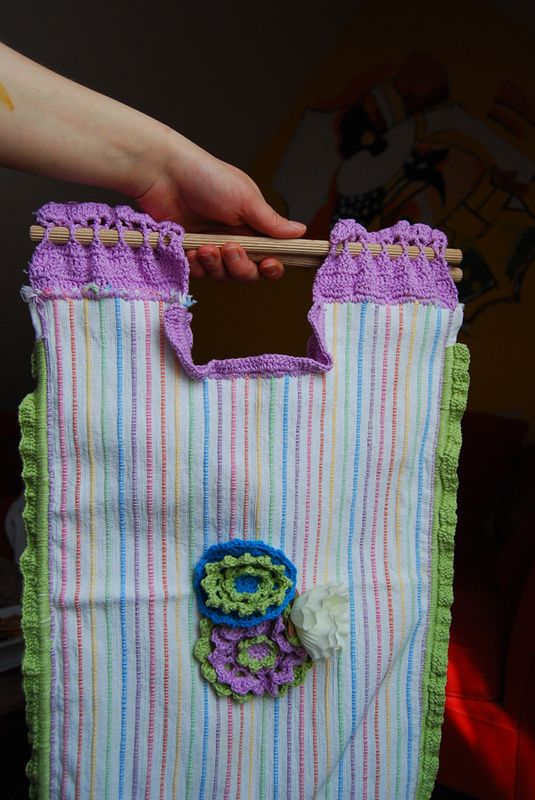 our friend Steffi makes cool bags, this one was made out of placemats. the crochet details are especially cute, thanks for sharing, Steffi! have you got any other ideas or links to share? please do so in the comments! The lamp shade is beautiful. Thanks for all the ideas. Have fun this weekend. Aww! I want a kitty litter bag! Hehe, that's such a good idea! I hope you have a happy Friday!